Four Wired magazine writers and editors offer a geek’s-eye view of homeland security. The 9/11 hijackers weren’t necessarily smarter than those whose putative charge it was to keep them from their mischief, the authors assert. But they had this advantage: They had closely studied a complex system—namely, airport security—just as a gambling cheat would study a casino, and they had figured out ways to thwart it. The terrorist event to worry about, the authors suggest, is not necessarily the lone suicide bomber on the bus, but the concerted attack on some other complex system; remarks one source, a Department of Energy engineer, “Give me the nineteen 9/11 terrorists and put them all to work on the power grid, and they could bring down the whole country for months.” No small worry that, for there are 10,400 power-generating stations in the US, and 250,000 manholes and service boxes in the Con Edison portion of the grid alone—plenty of weak links, in other words, in a weak chain. Working against such odds stand a motley assemblage of scientists, engineers, and even hobbyists who are doing such things as developing foolproof ways to monitor cargo containers (which, some security experts believe, will one day deliver a nuclear explosion to some unfortunate American port) and social-network models that can help forecast terrorist events; as the authors point out, using airline data alone, authorities might have been able to identify 13 of the 19 hijackers before they boarded their planes, if only they had known how to read the data. Putting those innovators’ projects to work will require cultural change within police and intelligence agencies, but, the authors conclude, hopeful signs abound. 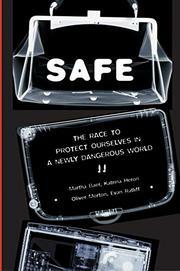 An excellent summary of the state of the art, though some of the material is better covered elsewhere; Jeanne Guillemin’s Biological Weapons (2004), for instance, trumps the long section on biowarfare. Even so, of much interest to techno-cognoscenti types—as well as advocates of security reform.